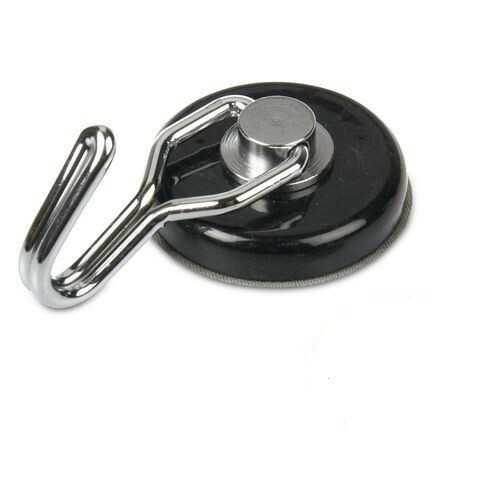 This magnet hook is guaranteed to always point in the desired direction, as the hook is designed to turn freely around the magnet base. 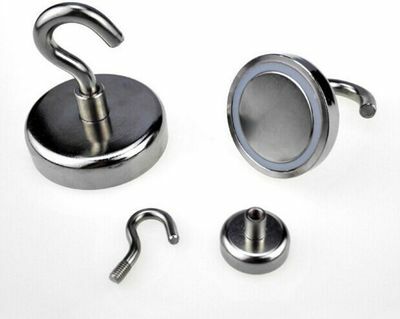 Like all the other magnet hooks, it is especially suitable for mounting on the underside of steel beams to hold vertical loads. 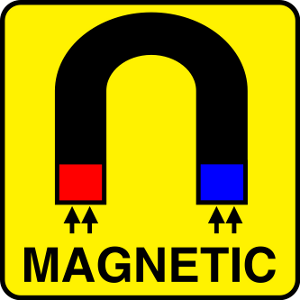 The adhesive force of the magnet mounted on a wall depends largely upon the smoothness of the wall surface. 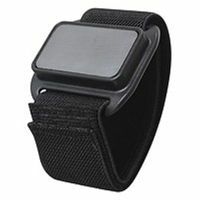 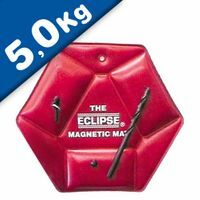 Kitchen towels or light tools can certainly be hung with this magnet without any problems. 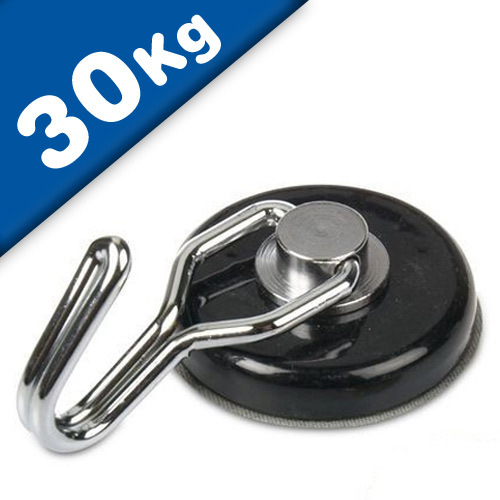 Rotating Magnetic hook can securely hold cables, tools, wires and other equipment in workshops, garages, warehouses and contractor vans. 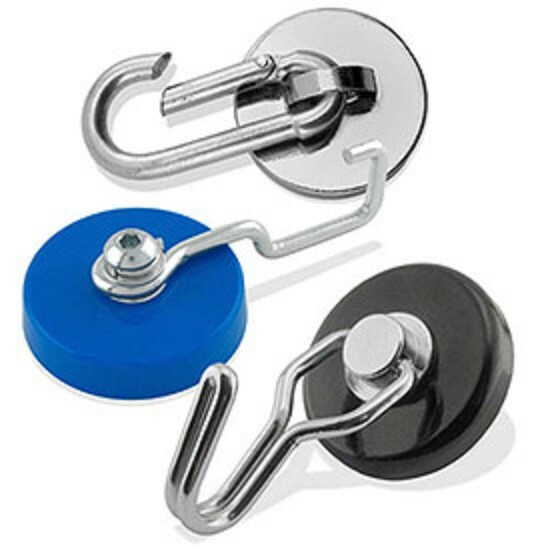 All hooks can attach to any steel surface. 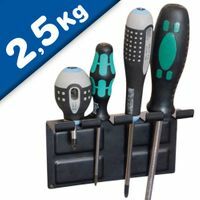 Great for hanging items in the garage, basement, office or for organizing house clutter. 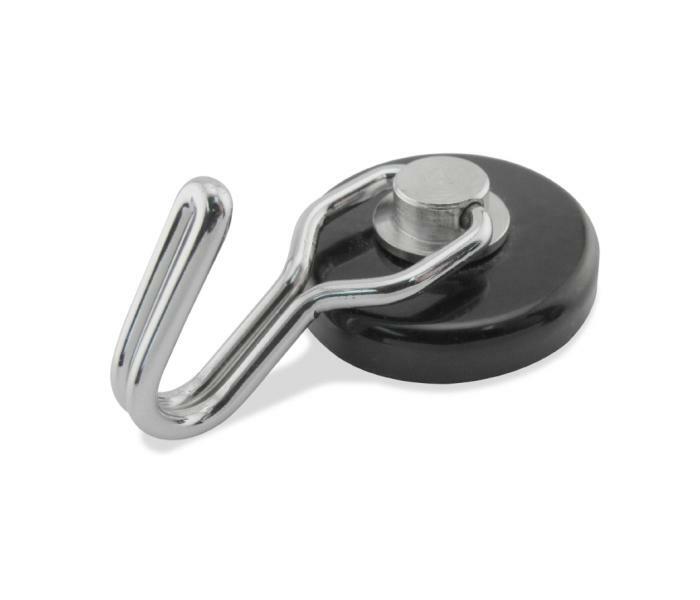 This industrial-strength hook comes rated at a 65-lb pull, ideal for hanging heavy equipment. 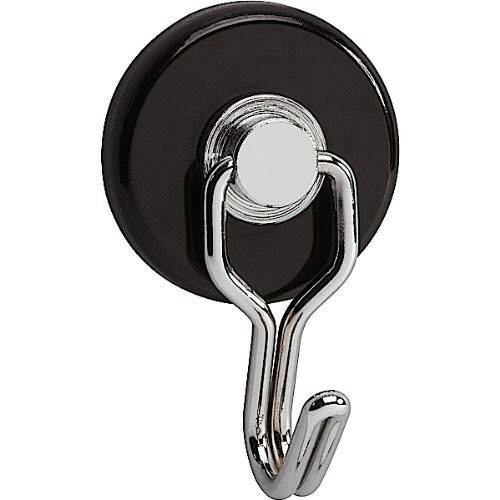 With the ability to swivel 360 degrees and swing 180 degrees, this hook can adapt to any position without repositioning the magnet. 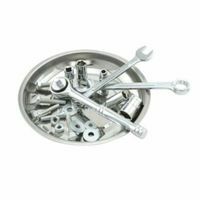 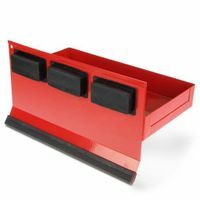 It can securely hold cables, tools, wires and other equipment where ordinary magnets would slip and slide in workshops, garages, warehouses, contractor vans and more. 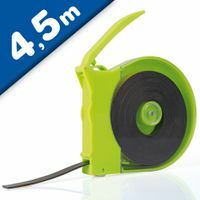 Diameter 38 mm - 1-1/2"
Height 13 mm - 1/2"
Adhesion ca. 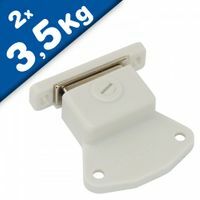 30 kg - 65 lb.